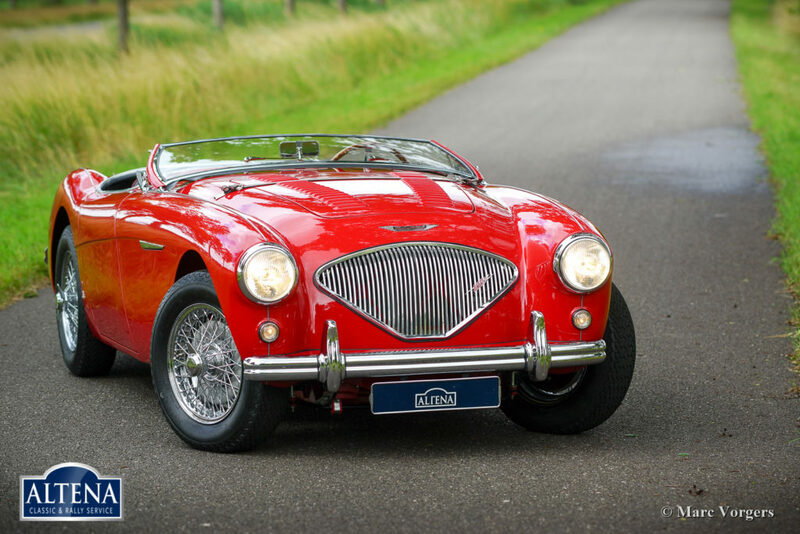 Austin Healey 100/M BN2 ‘Le Mans’, year 1955. 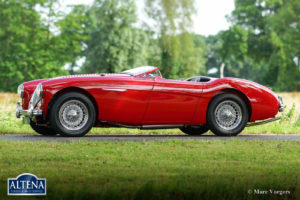 One of the only 640 factory built 100/M cars! 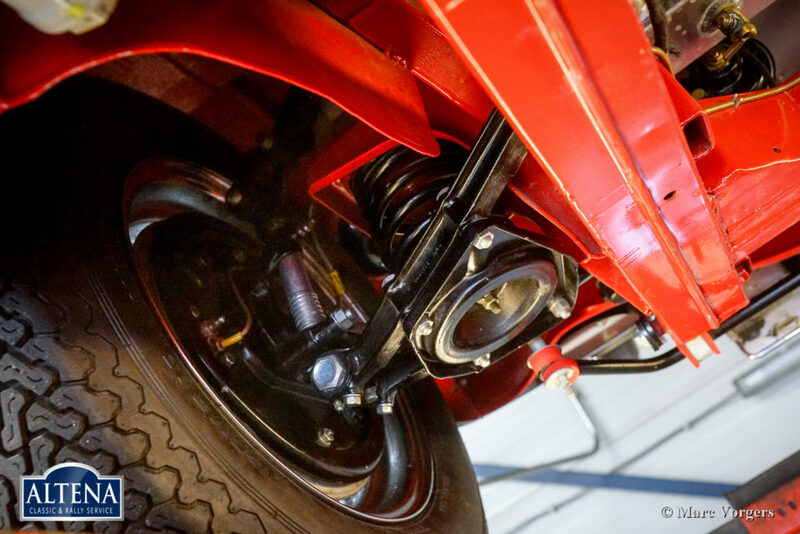 Chassis number: BN2-L/22844X, engine number: 1B/22844X-M, body number: 1034X. Matching numbers, a Heritage document is present to confirm this. 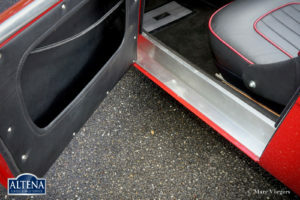 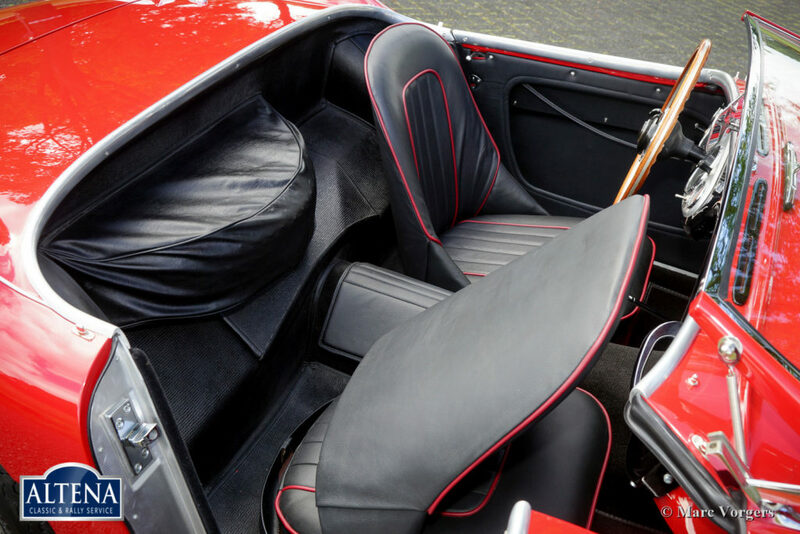 Colour Carmine red combined with a black leather interior trimmed with red piping. 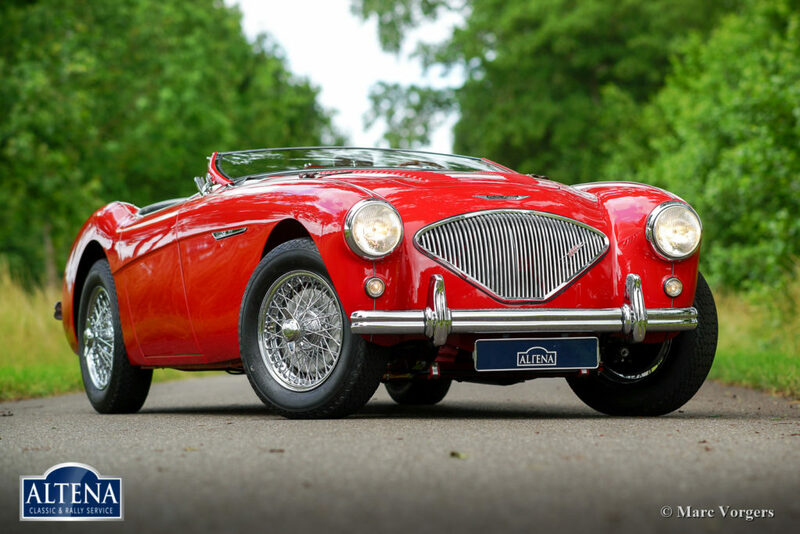 This rare and very desirable Austin Healey 100/M was sold new to the USA. 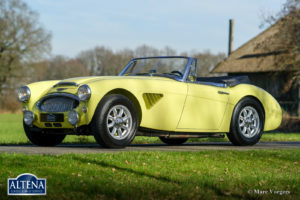 The original US title is present as are the 1955 yellow Californian number-plates! 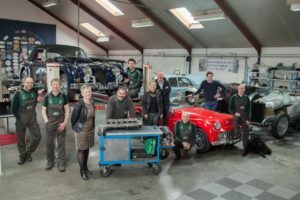 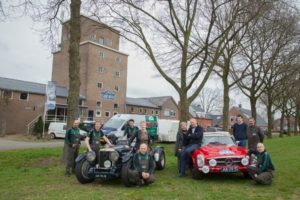 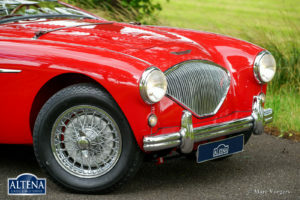 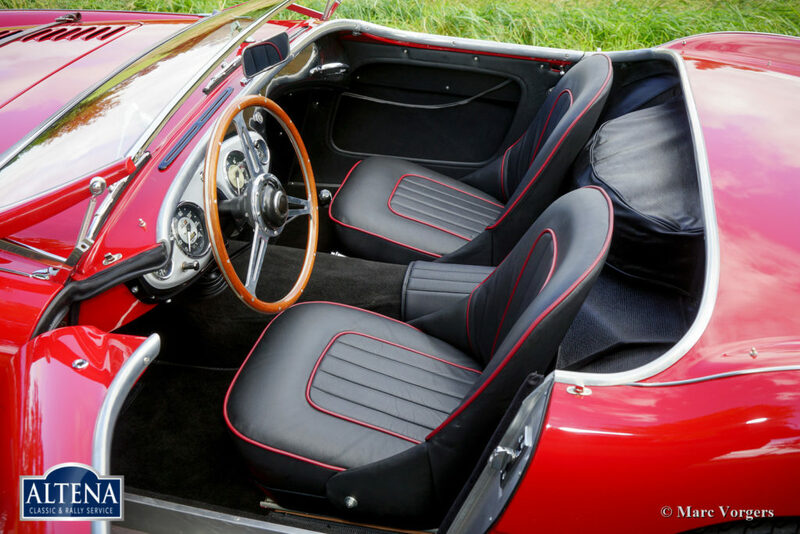 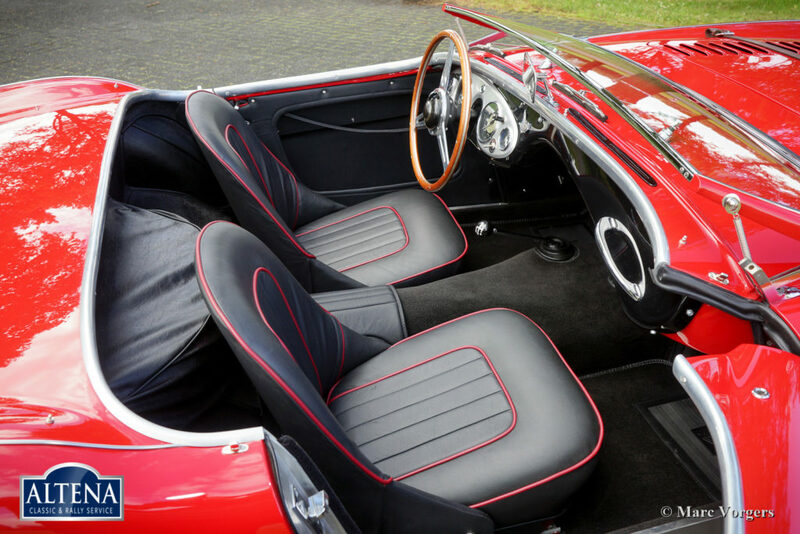 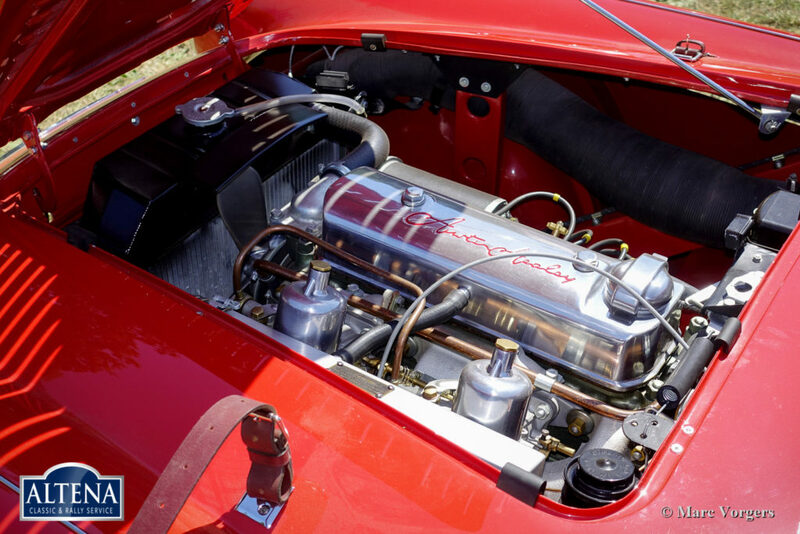 This splendid Austin Healey was fully and ‘body-off’ restored in the period 2015 – 2018. 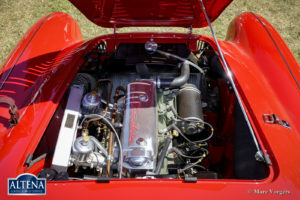 The automobile is in pristine concours condition! 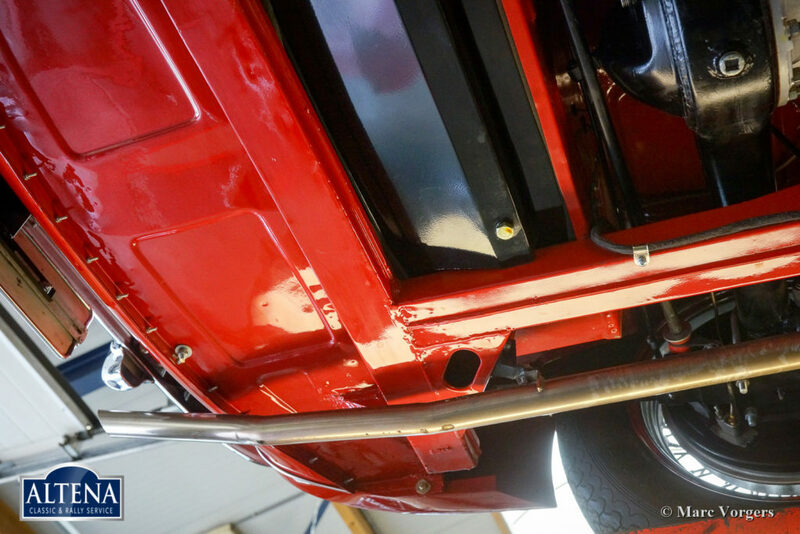 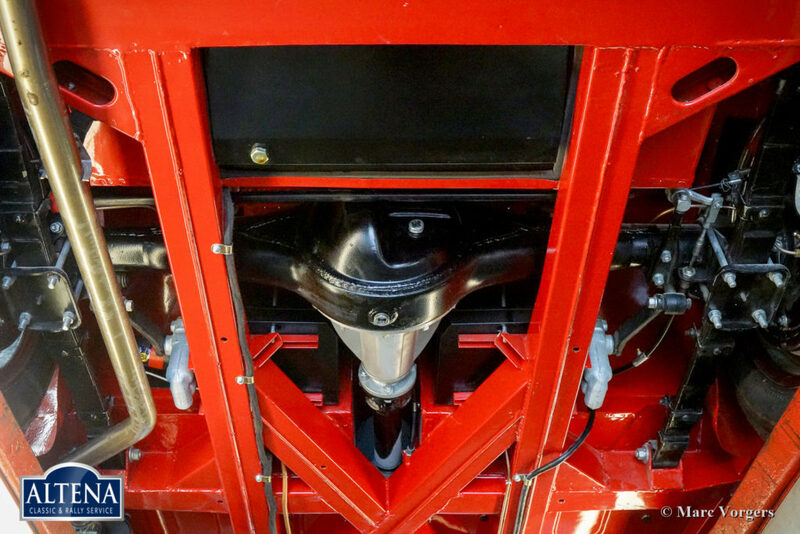 The bodyworks shows an exceptional perfect panel fit, glass-like paintwork, the interior and the boot are superbly upholstered, the engine room is perfectly detailed and the underside looks brand new. 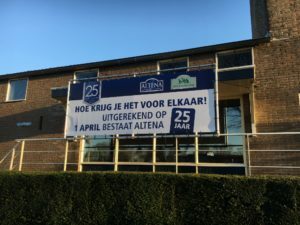 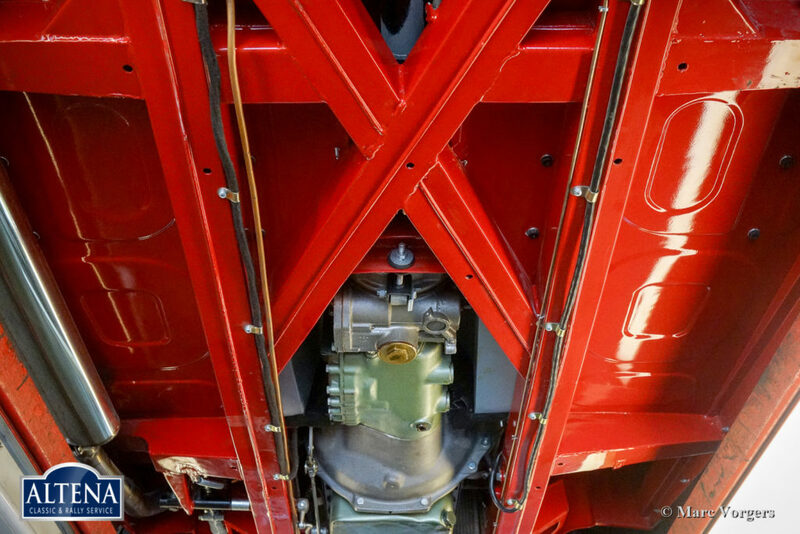 A photo report of the restoration is present. 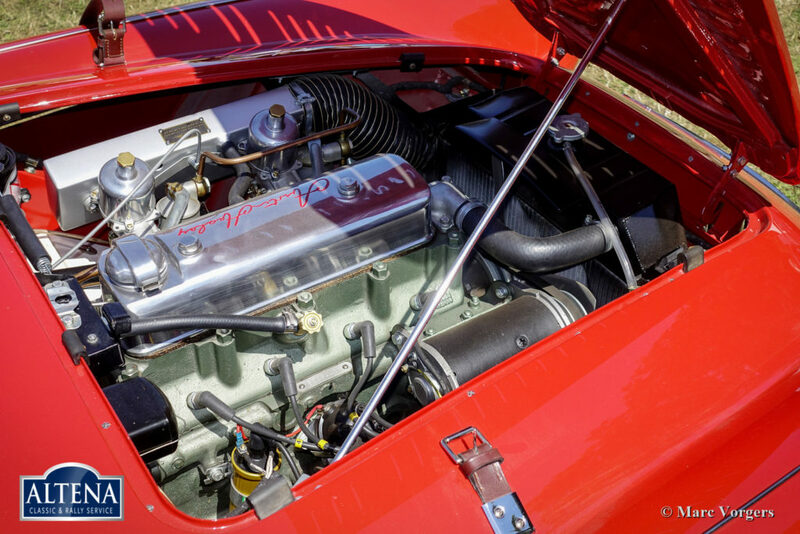 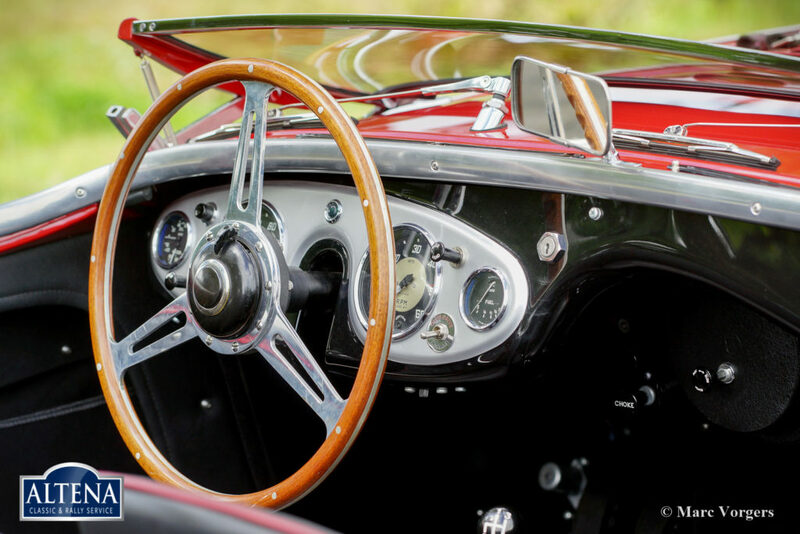 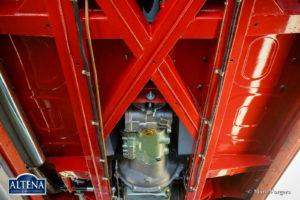 The 1955 BN2 is fitted with a four-speed gearbox and overdrive. 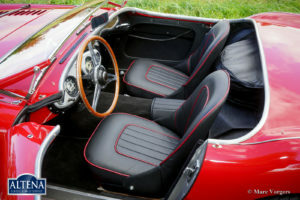 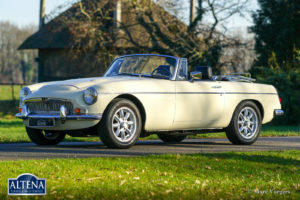 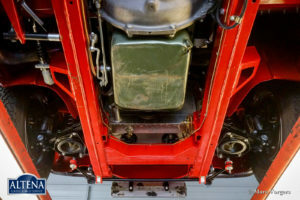 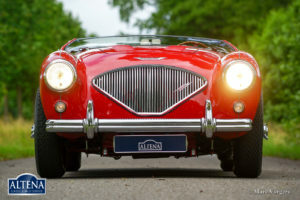 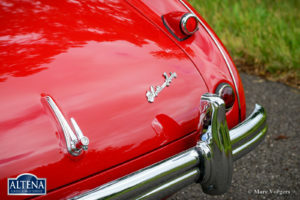 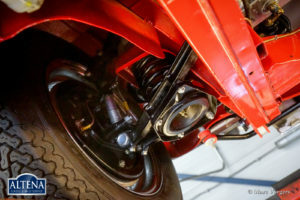 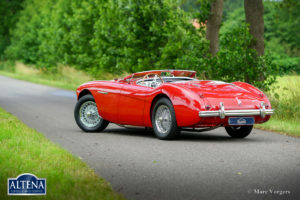 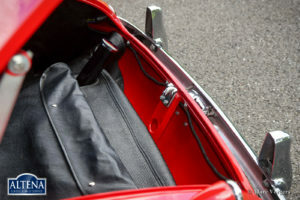 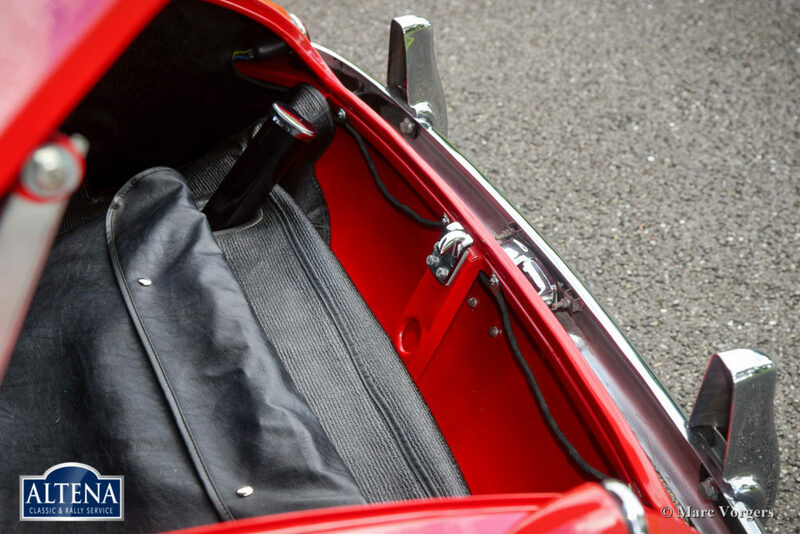 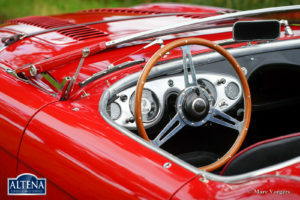 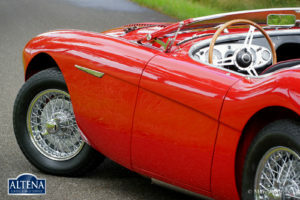 The automobile sports all the 100/M features like the cold-air box with bigger carburettors, special cylinder head, special camshaft and the factory fitted louvred bonnet with leather retaining strap. 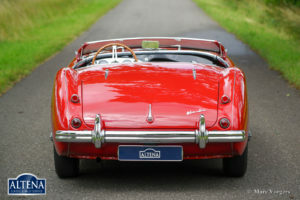 Furthermore, the car features chrome wire wheels shod with Blockley tyres, a superbly fitting soft-top, side-screens and tonneau cover. This fine 100/M drives perfectly! 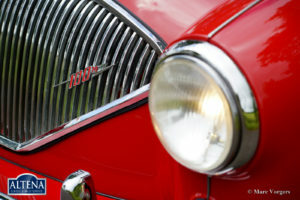 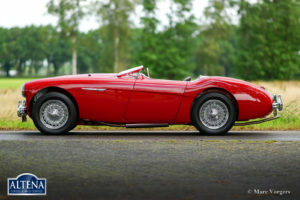 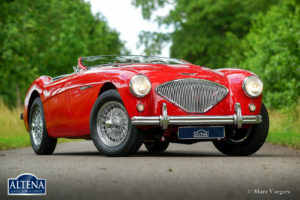 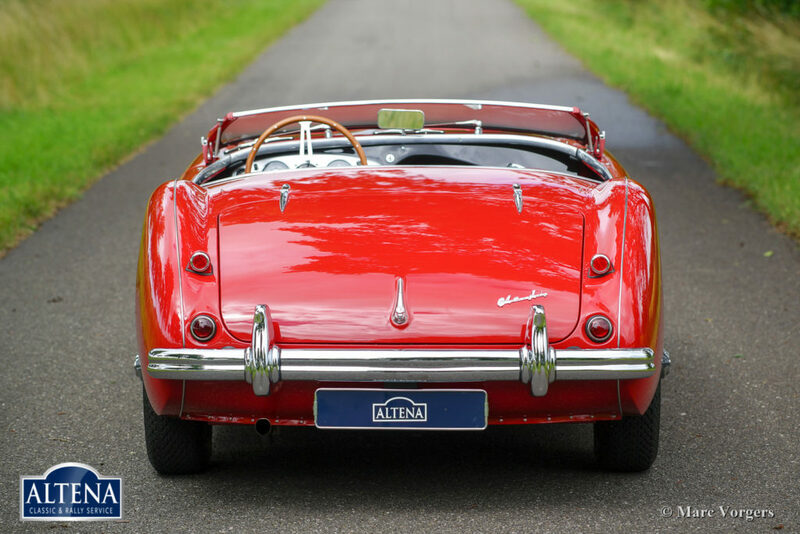 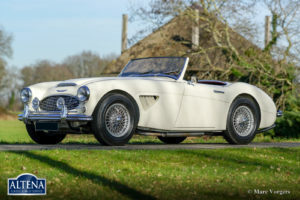 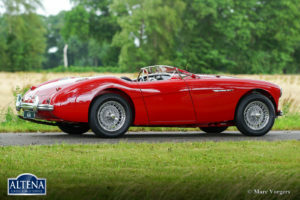 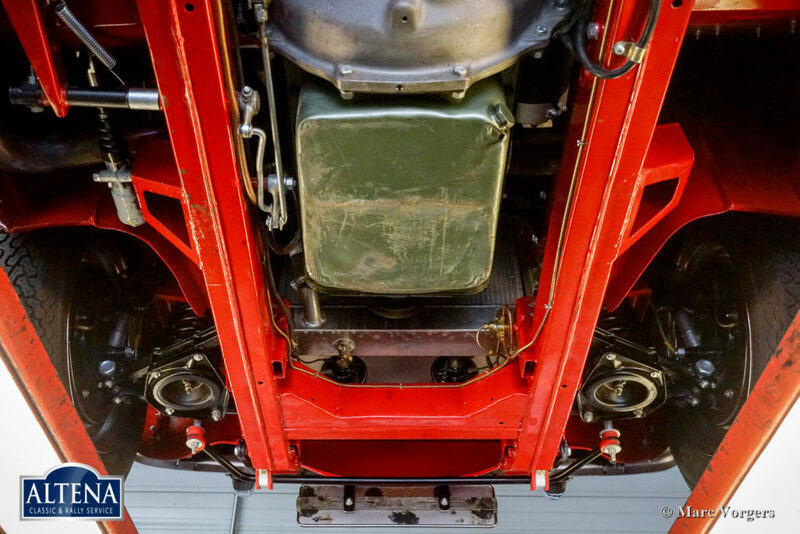 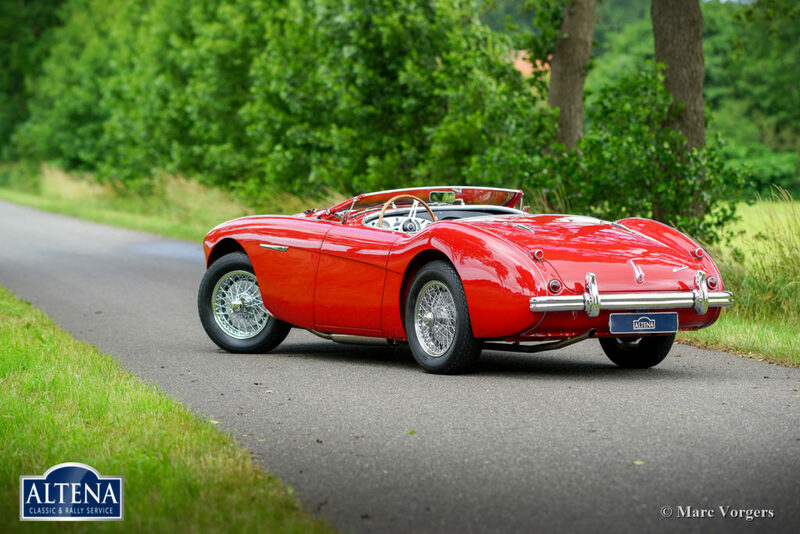 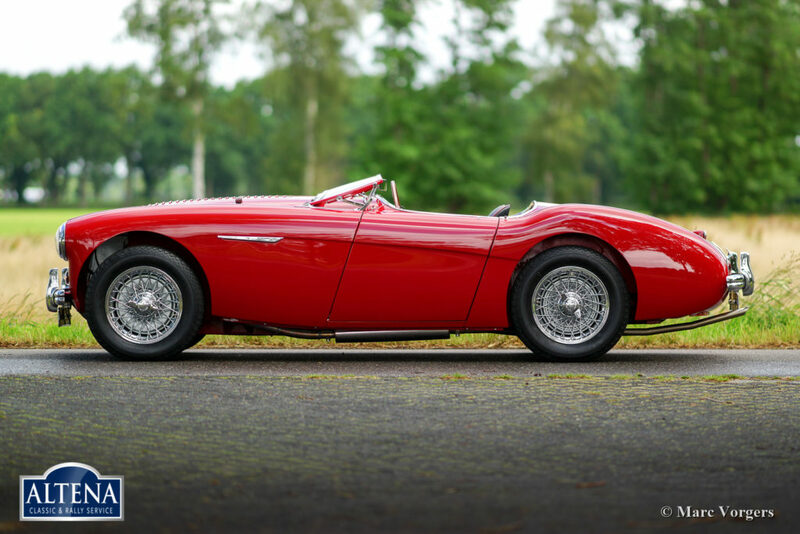 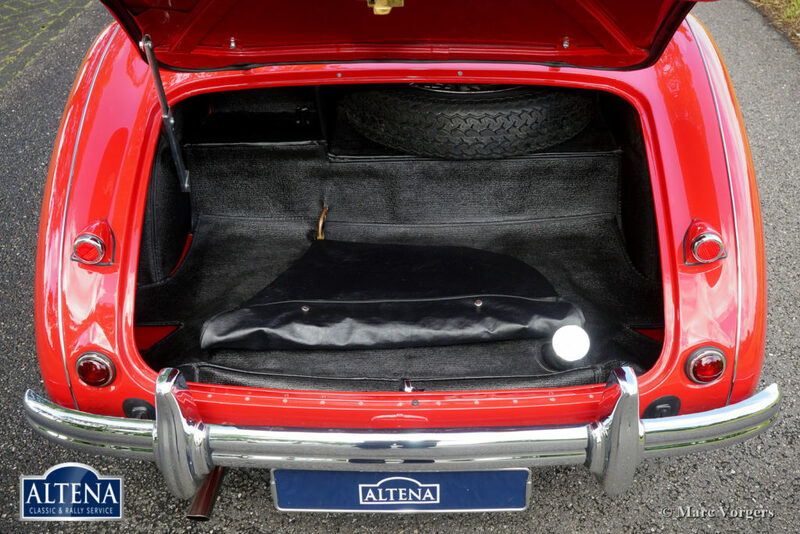 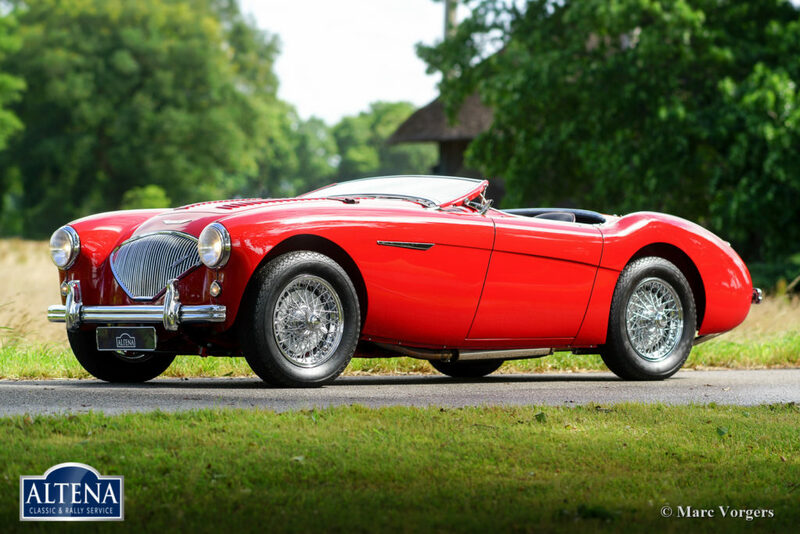 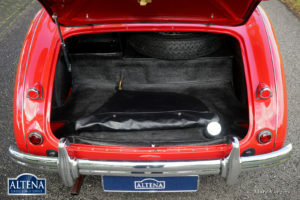 This is a hard-to-find ORIGINAL Austin Healey 100/M in perfect concours condition!